As if the holidays weren’t already stressful enough, now you find yourself having to move, and you can’t wait for the craziness to die down. Whether you’re being relocated for a new job, or simply need a quick change of scenery, moving during the holidays doesn’t have to be as hard as you may believe. That’s because the friendly movers at Marrins Moving are here to help you relocate with zero stress. Whether you’re in need of residential movers or commercial movers, we’ve got you covered. Just follow these five tips for a successful holiday move. Chances are, you weren’t planning to move during the holidays. That’s perfectly okay with us! If you’re not sure where your end destination is, consider a moving and storage package option. Choosing a moving and storage package will buy you time to decide where your belongings end up after the stress of the holidays has passed. Whether you need temporary or long-term storage, Marrins can accommodate. As soon as you know what your new address will be, make sure to share it with all important parties. You wouldn’t want to miss a holiday package delivery, supply shipment, or other important mail during that time of year when the mail is already a bit unreliable. 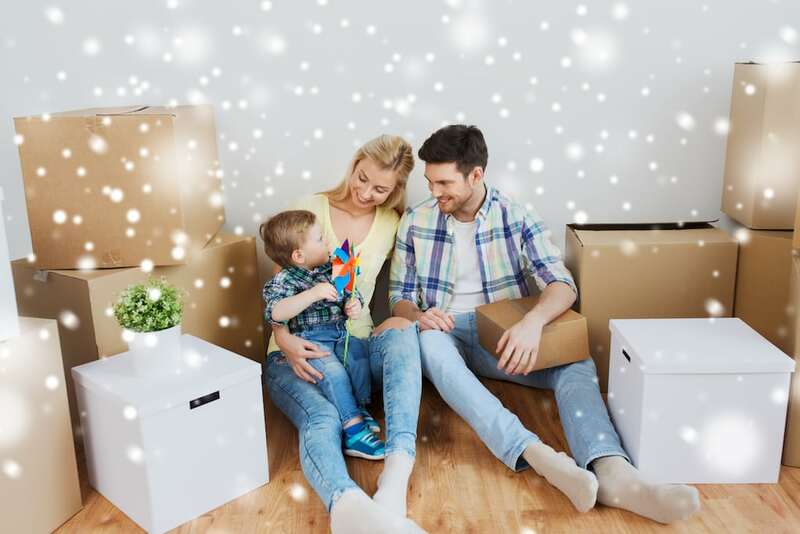 If you’re the type to send holiday cards, this is the perfect opportunity to share your new address with the most important people in your life, as well as share the news of your big, exciting move. It’s a win-win! Good news! There’s no need to do endless hours of internet research, wasting your precious packing time in an attempt to find movers to meet your needs. Marrins Moving offers it all. From residential movers to commercial movers, to storage, and more, we have all your needs covered. Our full-service movers will even pack your belongings if you’re really in a holiday time crunch. Flexible scheduling is yet another of the countless benefits of choosing Marrins. Still not sold on the benefits of choosing Marrins Moving? Check out this article, then request your free quote as soon as the need arises. You can trust that we’ll take care of the rest. As you already know, the weather can be kind of temperamental during the holiday season. While it won’t help to obsess over every change in the forecast, it is helpful to keep watch. Being in the know will allow you to have a backup plan in mind so that you can prepare for the worst. Talk with the trusted movers at Marrins’ Moving to formulate a backup plan that works for you, just in case the weather refuses to cooperate. If you’ve got a case of the holiday blues or are stressed about relocating, a pick-me-up may be in order. With all the festive holiday decorations on display, this is a great time to explore your beautiful new locale. With Marrins’ Moving handling all your moving needs, you’ll have the time to grab a cup of coffee, take a stroll in the snow, or meet your jolly new neighbors. It’s the perfect way to lift your spirits during your big holiday move. By choosing Marrins’ Moving to help with your move, holiday relocation will seem like a breeze. With residential movers and commercial movers on call, as well as a moving and storage options, you can’t go wrong with Marrins. If you’re anticipating a big move this holiday season, don’t forget to fill out the form to request your free quote today!